Recreate that fabulous meal you had in a ski resort cooked on a stone at the table or sear some scallops or steak for a unique flavour. Recreate that fabulous meal you had in a ski resort cooked on a stone at the table or sear some scallops or steak for a unique flavour. 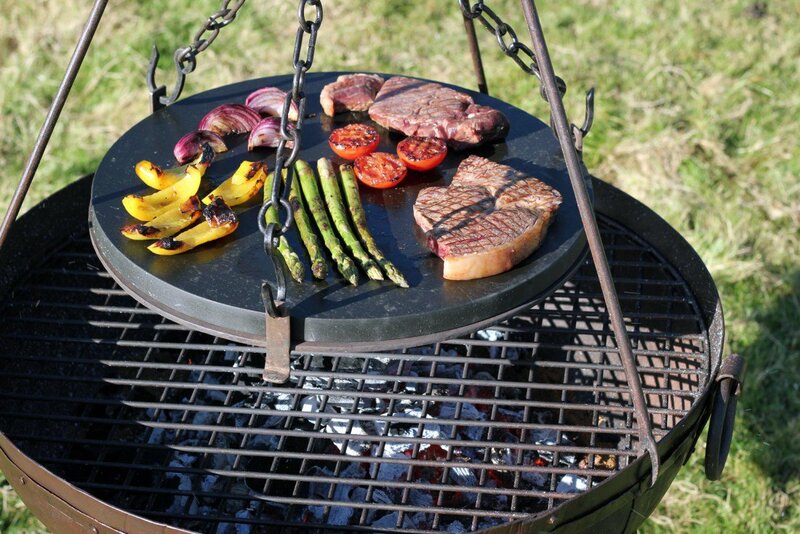 This versatile stone griddle plate hangs neatly from the tripod and cooks food with a consistent heat.